People Before Profit TD for Dublin Mid-West Gino Kenny has said that the 50% rise of families declaring as homeless this month in the South Dublin County Council area is a disgrace and shows clearly that the government’s policy on housing and homelessness is not working at all. He said that the buck stops with Leo Varadkar, Eoghan Murphy and the whole of the government. 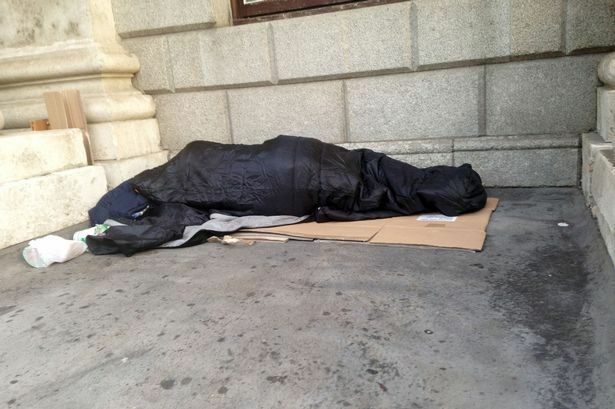 He said: “This month has seen a 50% rise in families declaring as homeless in the South Dublin CC area. This is nothing short of a disgrace and clear evidence that the much-lauded Fine Gael Rebuilding Ireland plan has failed. “Leo Varadkar and Eoghan Murphy have demonstrated in no uncertain terms that they and their government are incapable of solving the housing crisis or stemming the flow of people into homelessness. “I am tired of the Taoiseach and the Minister for Housing coming into the Dáil to make excuses and waffling on about how things are getting better- they are not, things are getting much worse. “Recently the selling off of 75 acres of public land in the Kilcarberry/Grange to private development by a majority of Councillors in SDCC was nothing short of social vandalism. If you want to see why these housing figures are going south then look no further than the policy of the government and local authorities in general in selling off public land in times of a housing crisis.